A high school senior was shot dead at a Chicago area mall on Monday, causing chaos and sparking a manhunt for the gunman. Authorities believe the victim and suspect knew each other and that it was an isolated incident, police said. Shoppers at the Orland Square Mall called 911 at about 6:45 p.m. Monday reporting a shooting near the food court, said police. Orland Park is about 30 miles outside of Chicago. People leave the scene where a gunman shot and killed a man near the food court inside the Orland Square Mall, Jan. 21, 2019, in Orland Park, Ill. Witnesses said two men were in an altercation and one of the men fired multiple times, hitting the victim, police said. Javon Britton, 18, was shot several times and taken to a hospital where he was declared dead, police said. A second victim suffered a graze wound, police said. The suspect, 19-year-old Jakharr Williams, fled the mall before authorities arrived, police said. Williams, who has an active parole warrant, should be considered armed and dangerous, police said. Eric Russell, a spokesman for Britton’s family, has urged Williams to turn himself in. Britton planned to graduate from high school in June and study technology and electronics, Russell said. He hoped to become an engineer. Illinois State Senator Elgie Sims Jr. said he was at the mall when the shooting broke out. 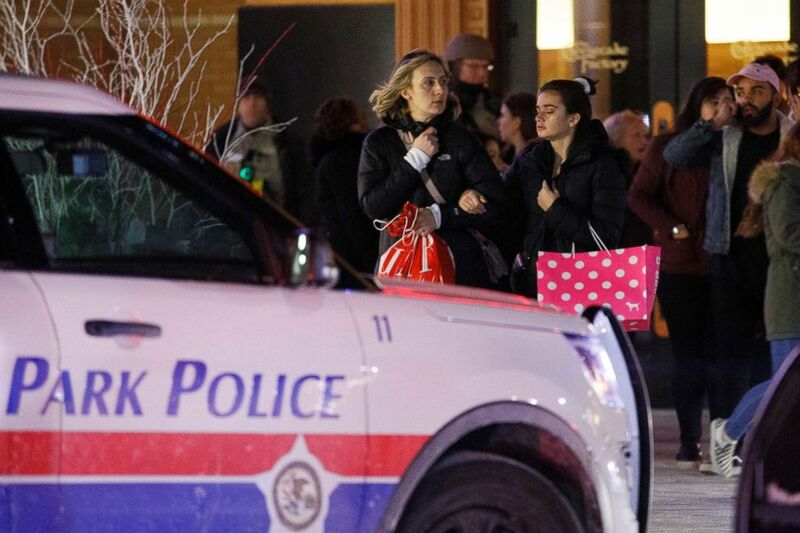 “A young man was gunned down literally feet from where my and other families were shopping,” he wrote on Facebook. Beyond the tragedy of “another senseless shooting,” Sims said the second tragedy was that the children who witnessed the aftermath lost some of their innocence.